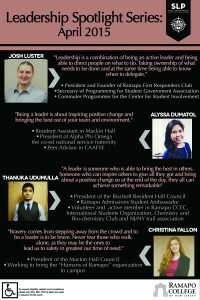 We believe that leadership development is an integral part of the college experience for every student. 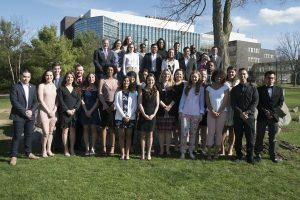 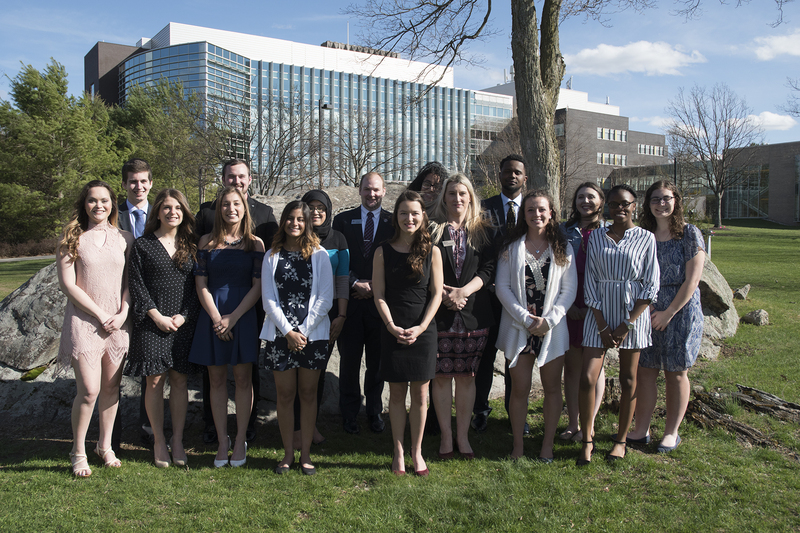 The Student Leadership Programs Committee supports students in their leadership development and provides opportunities for students to identify their leadership paths. 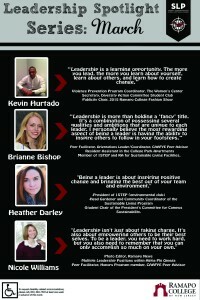 We believe that leadership is a purposeful and collaborative process that leads to social change. 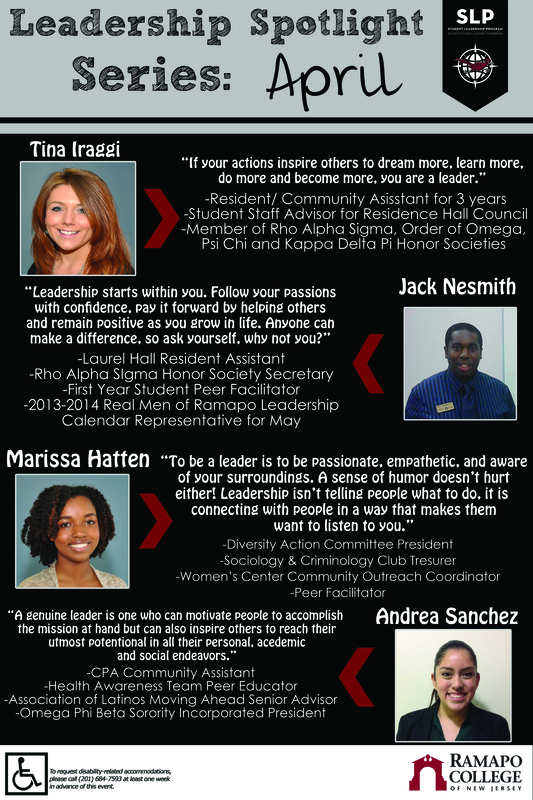 All students have the capacity to demonstrate leadership and we invite you to explore your leadership potential! 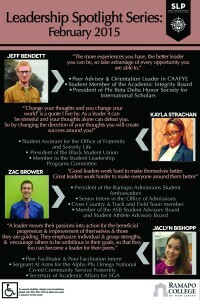 The Student Leadership Awards applications are now open! 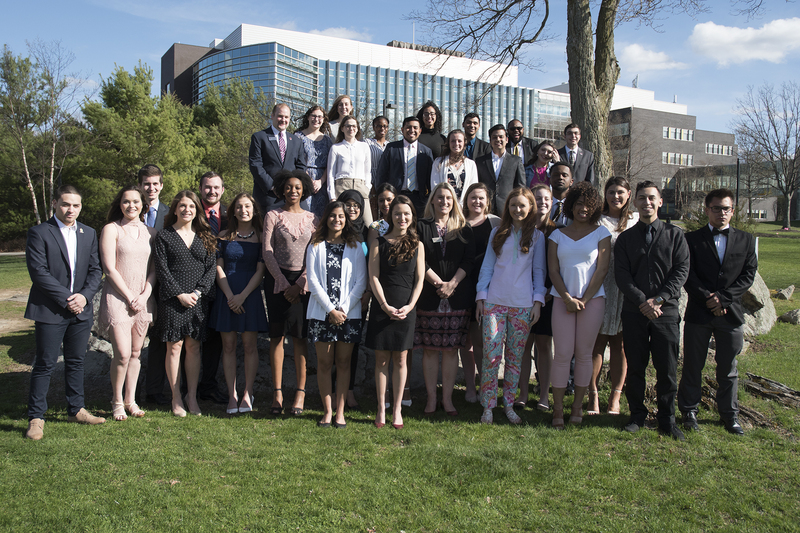 For more information about the awards and the annual Student Leadership Ceremony please visit our Student Leadership Award page. 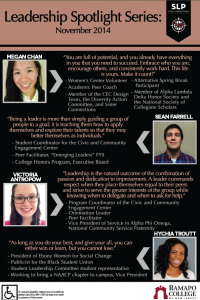 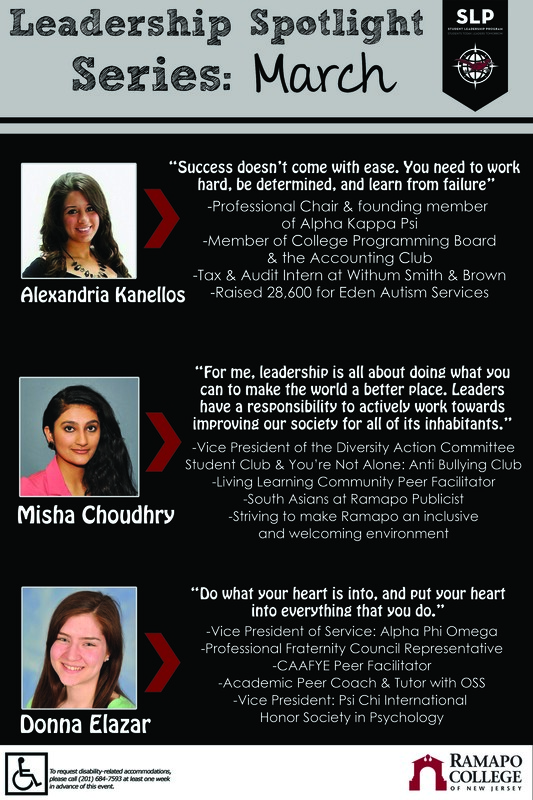 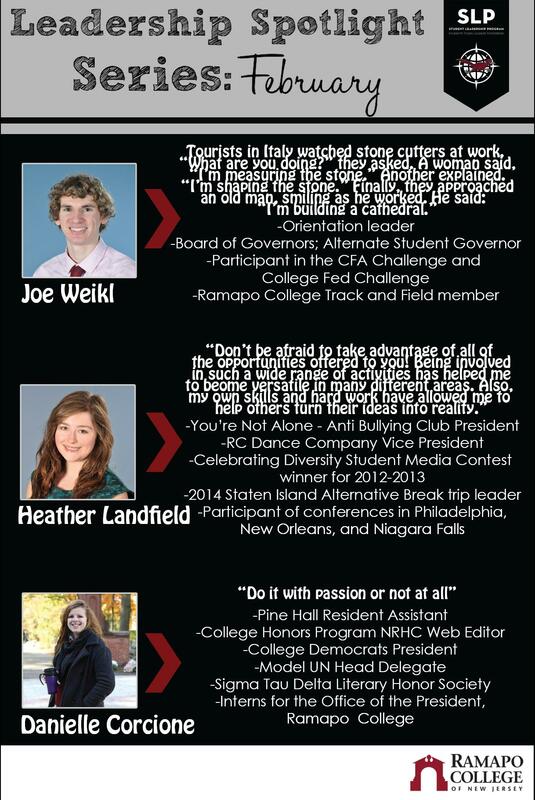 Click Below for our updated Student Leadership Spotlight!